Srinagar, September 7 (KNO) : Sh. M. Ramachandran, Former Union Secretary met Governor Satya Pal Malik, at Raj Bhavan here today. Governor and Sh. Ramachandran discussed a range of issues relating to growth and development of the country and challenges of Urban Development in developing countries like India. 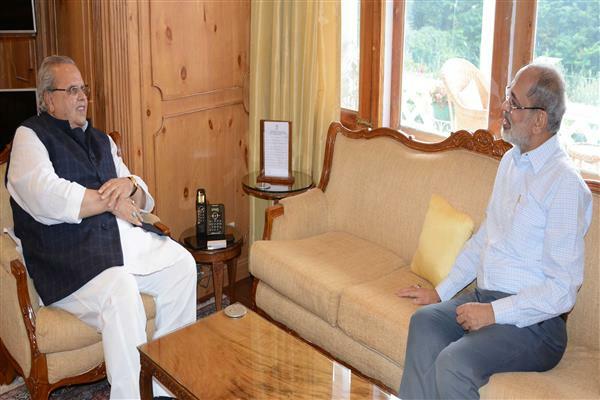 They also discussed need for well planned approach to meet challenges of urban growth in fast growing capital cities of Jammu and Srinagar and the Holy town of Katra which has high footfall of pilgrims from all over the country.